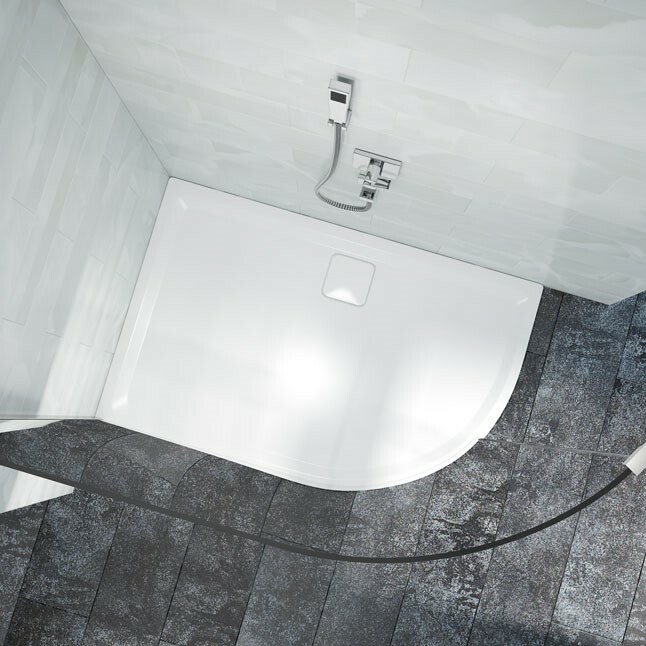 A few centimetres sometimes makes the world of difference in bathroom design, especially when space is tight, an existing property is being renovated or you need to factor in accessibility concerns. 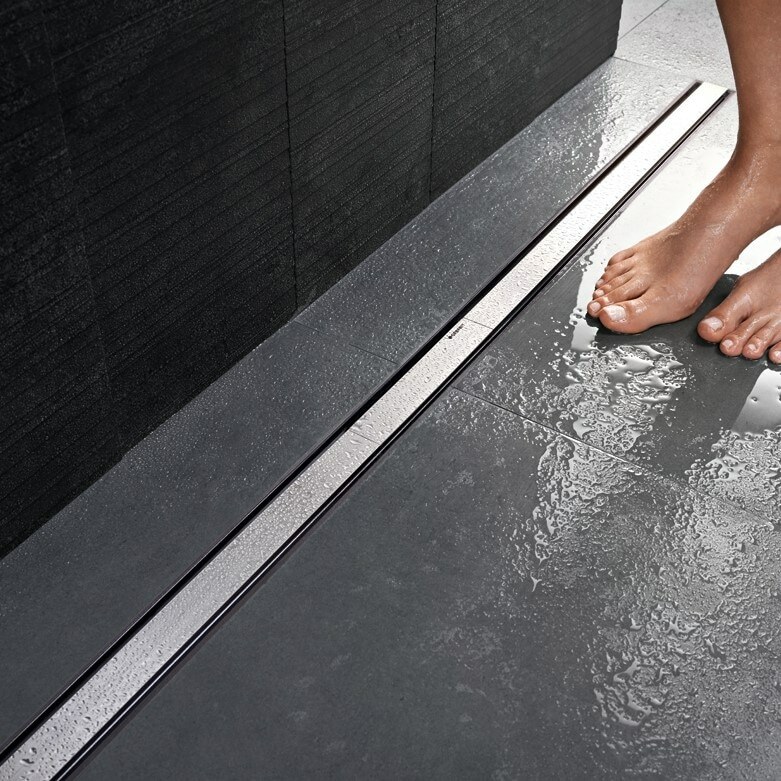 This month in Bathrooms In Focus we take a look at shower trays & wet room drains that help to create the optimal solution which not only look fantastic but are extremely hygienic too. 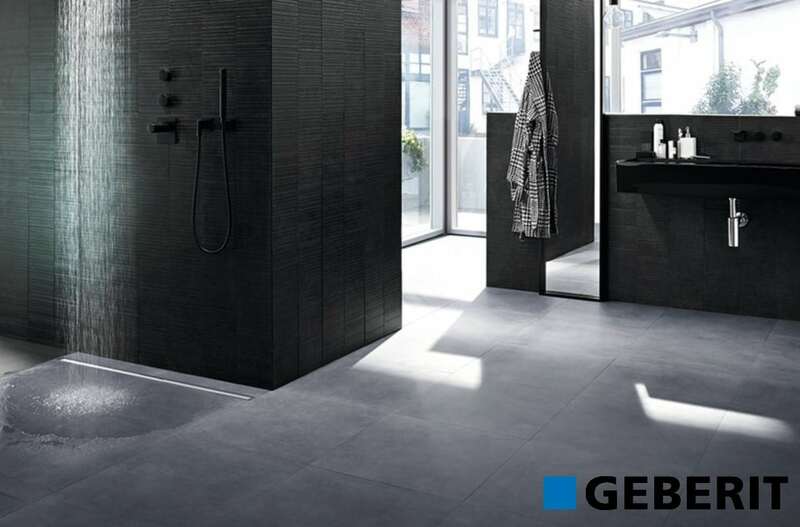 Produced with high-quality brushed stainless steel or “tile in” cover the Geberit CleanLine shower channels fulfil the highest design & quality expectations. 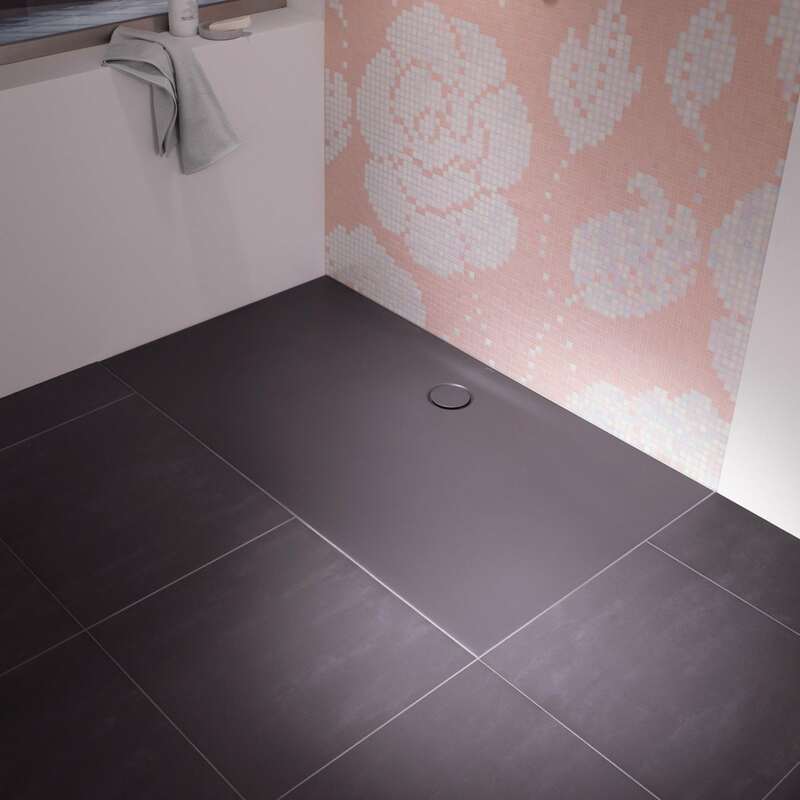 With it’s classic & discreet lines it fits with practically every even-floor shower area. 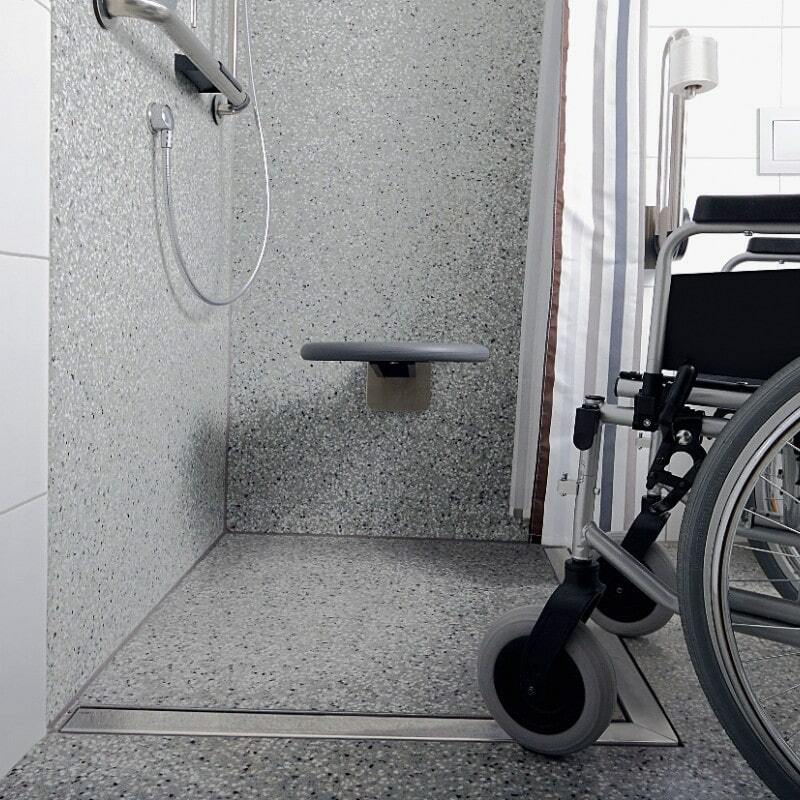 Thanks to the flexible sealing foil it can be installed either in the middle of the shower area or at the wall. 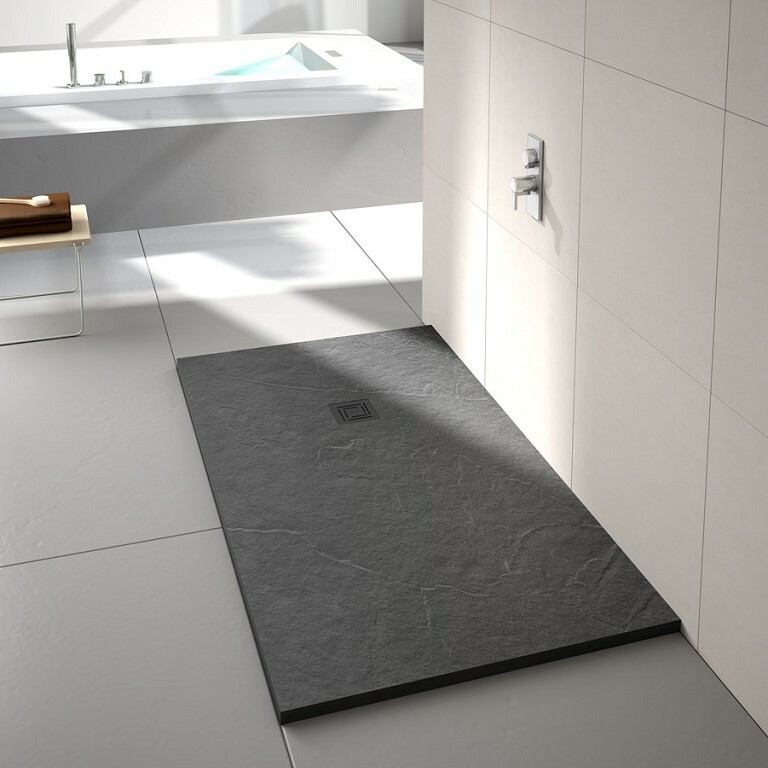 It also can be cut to length on site & thus perfectly customised to any showering area. 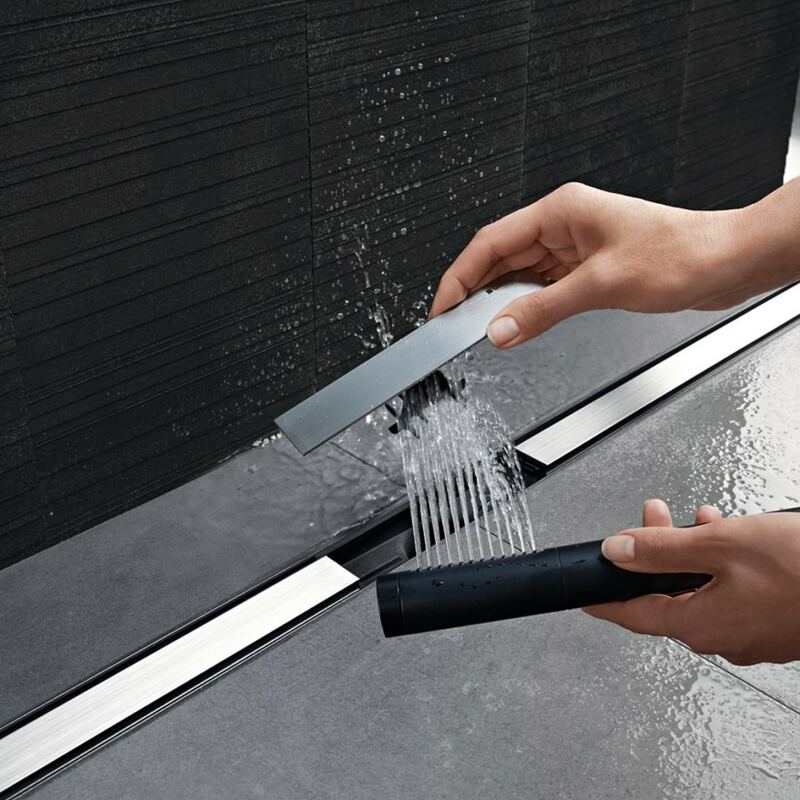 Featuring Geberit’s innovative removable flush-able comb insert it catches dirt & hair, easily cleaned & flushed out thanks to its special design, preventing concealed deposits from building up. 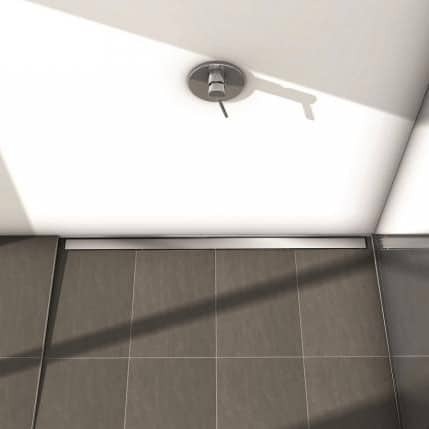 TECE drainline & drainlineprofile shower channels free the bathroom from disturbing separations such as shower trays & their enclosures to allow a uniform floor design. 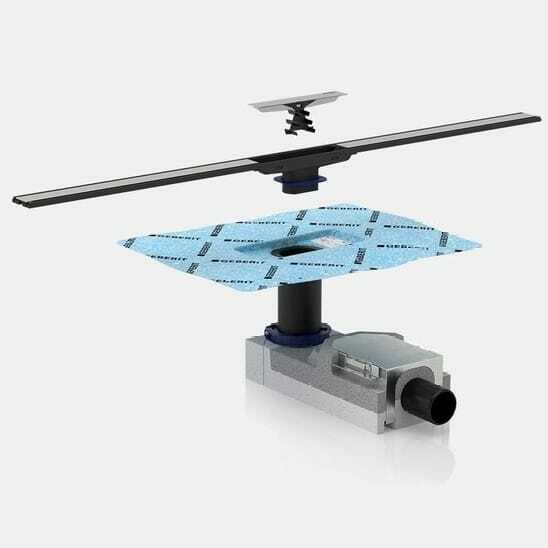 Easy to clean & hygienic, they are produced using a special sealing concept making installation safe & easy. 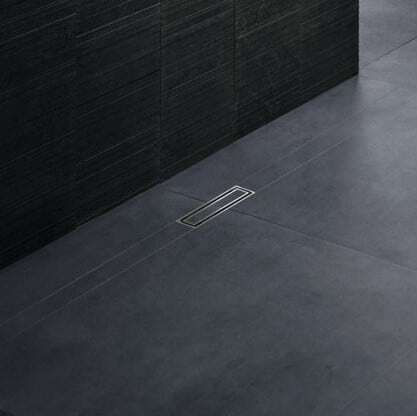 Drainline is available with covers made of stainless steel, glass, tileable channel “plate” or for natural stone floors. 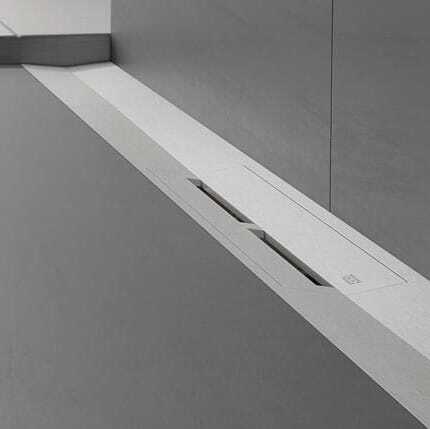 Drainlineprofile in both high-quality surface variants of polished or brushed stainless steel. The new flexibility in bathroom design. 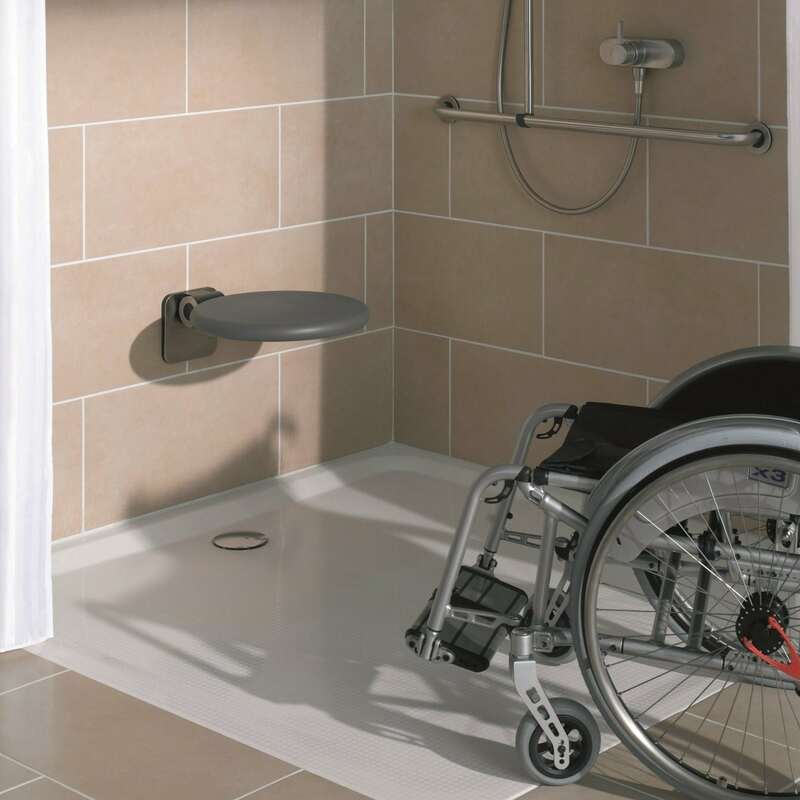 Producing accessible bathrooms with a generous character – real space for living. 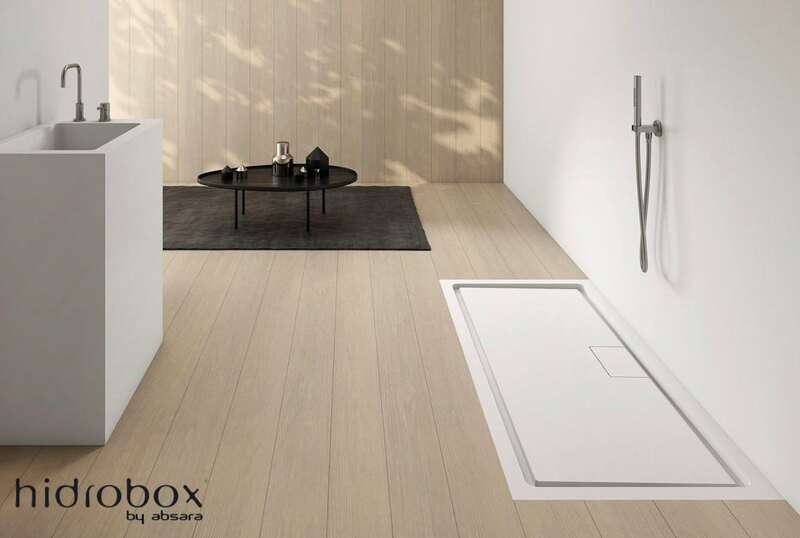 The Scene Materia (solid surface) & Marmek materials, that Hidrobox use to produce their stunning shower trays are an advanced composition of mineral compounds, organic polymers & specific additives designed to be moulded. 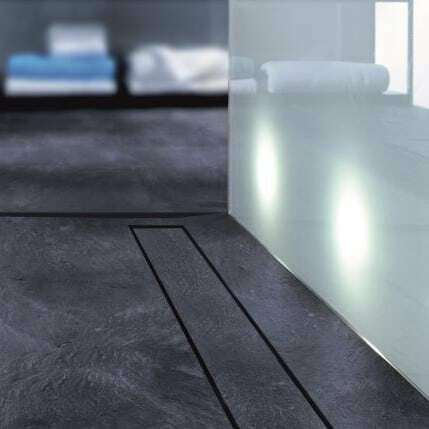 Both of these synthetic resin component in its structure gives it a certain amount of elasticity, while the mineral compounds act as a kind of shield that provide anti-slip qualities & resistance to wear & tear. 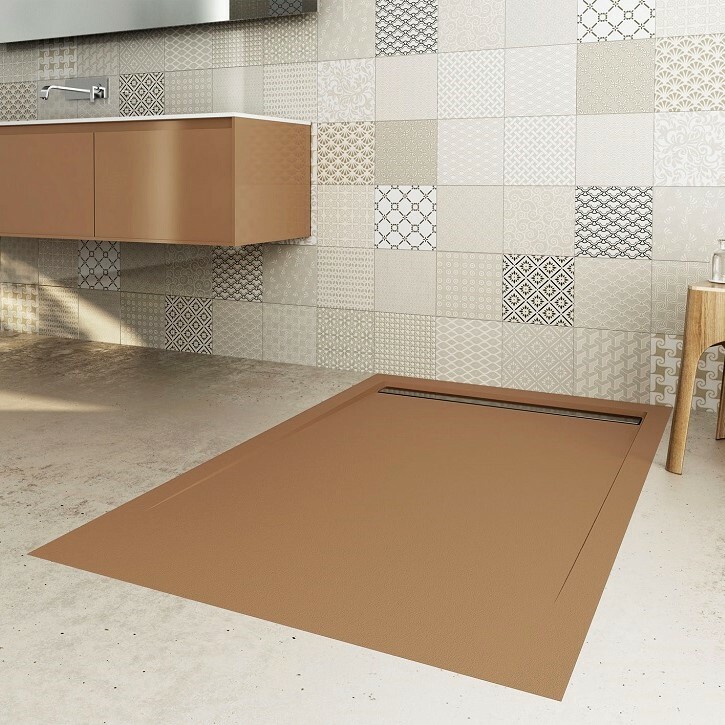 Offering infinite possibilities in terms of personalisation, with a multitude of colours finishes available, aiding the designer, allowing the freedom to find solutions when faced with complex forms. 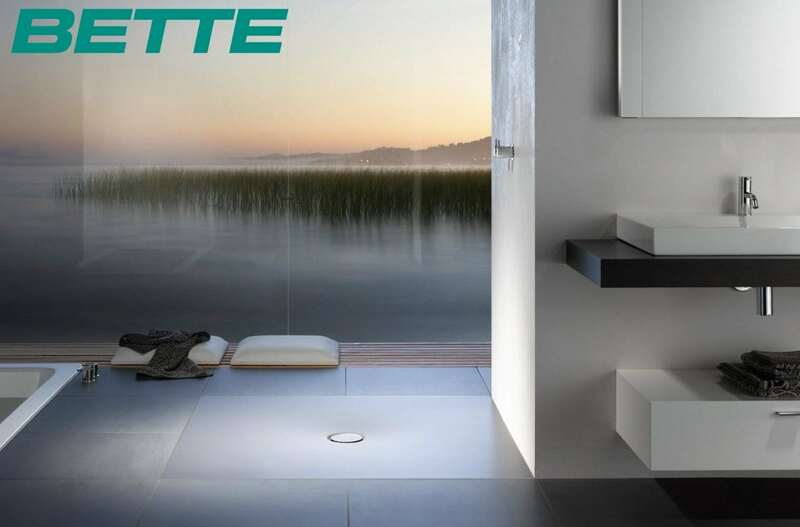 As with all genuine classic products, the success story of Bette shower trays are based on innovations that have redefined showering comfort. With their line of flush-to-floor installations, removing trip hazards to provide convenience & comfort for people of all generations. The quality of the steel/enamel surface can be seen & felt. 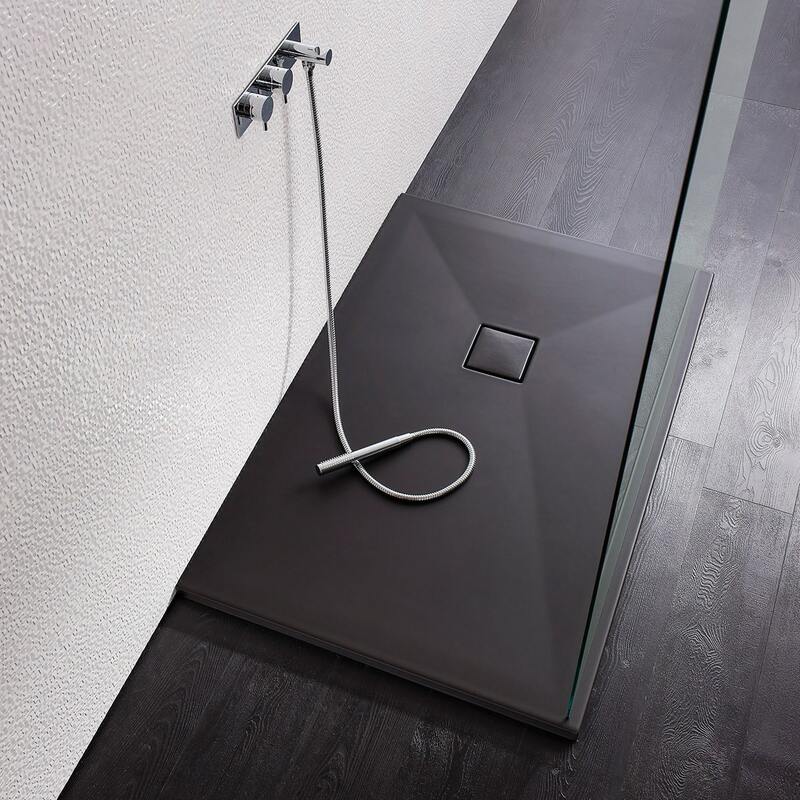 At the same time, various worlds of colour also visibly permit perfect integration of the shower area into the floor – thus giving the bathroom spacious elegance. 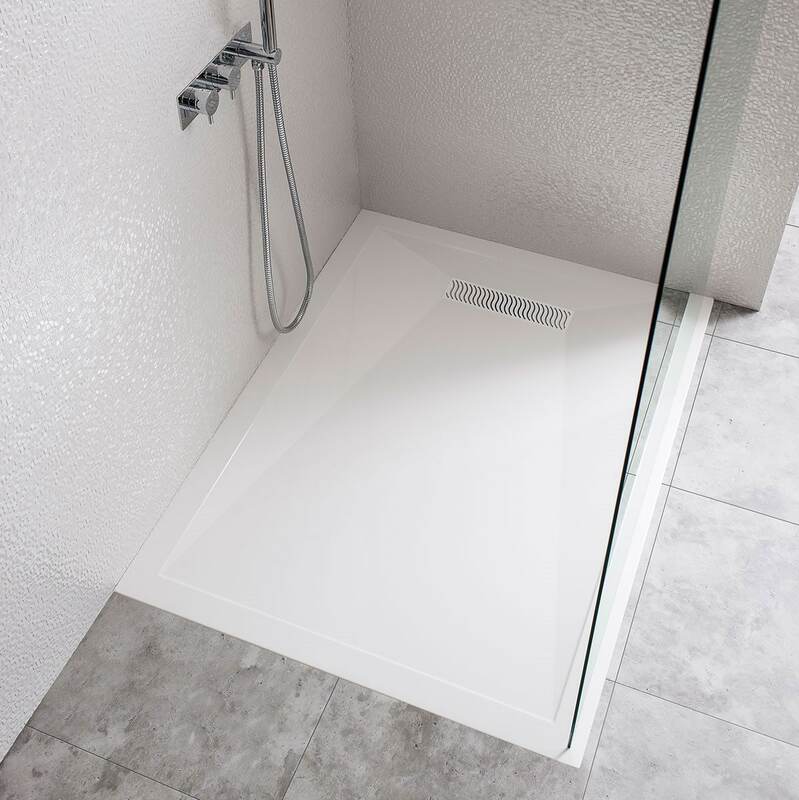 With an extensive range of high quality, specialist shower tray solutions, catering to all room sizes & requirements for both shower enclosures & wet rooms. 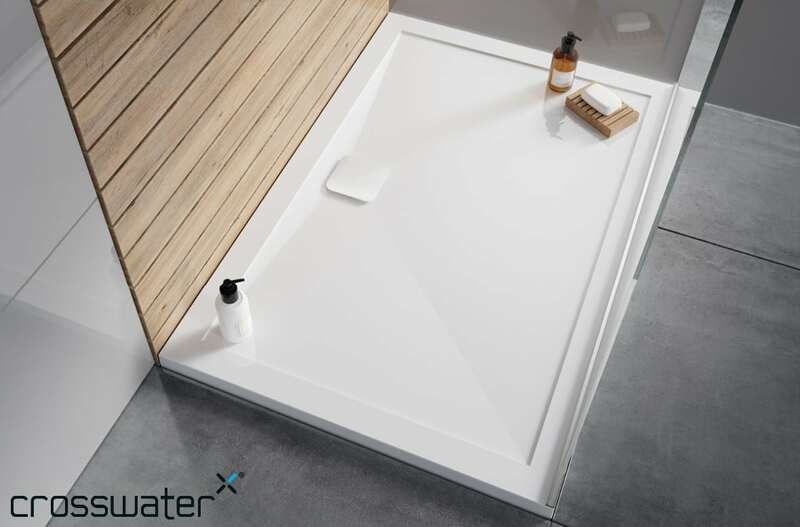 From their ground-breaking 100% recyclable scratch-proof, stain-proof Plus+Ton Ceramic tray to the Kai & Anti Slip stone resin trays Crosswater have collection of inspiring designs & innovative finishes to suit your bathroom space & personal style. 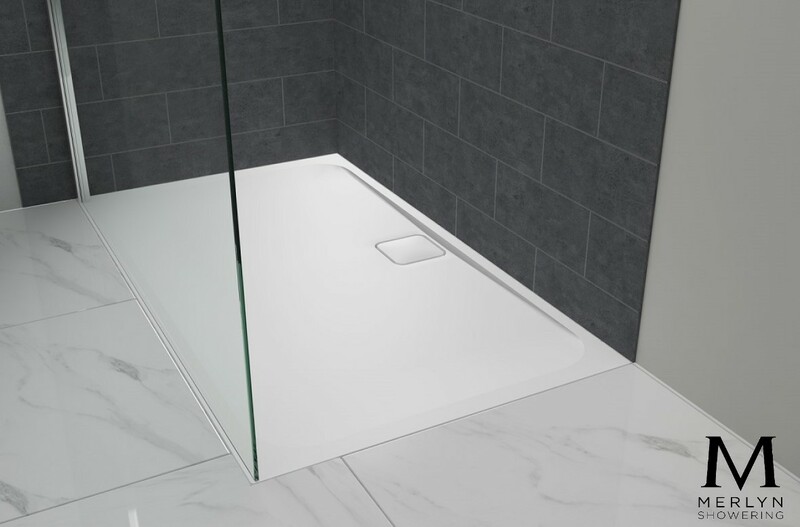 Call into our showroom to see the latest bathtub designs from these cutting edge brands. 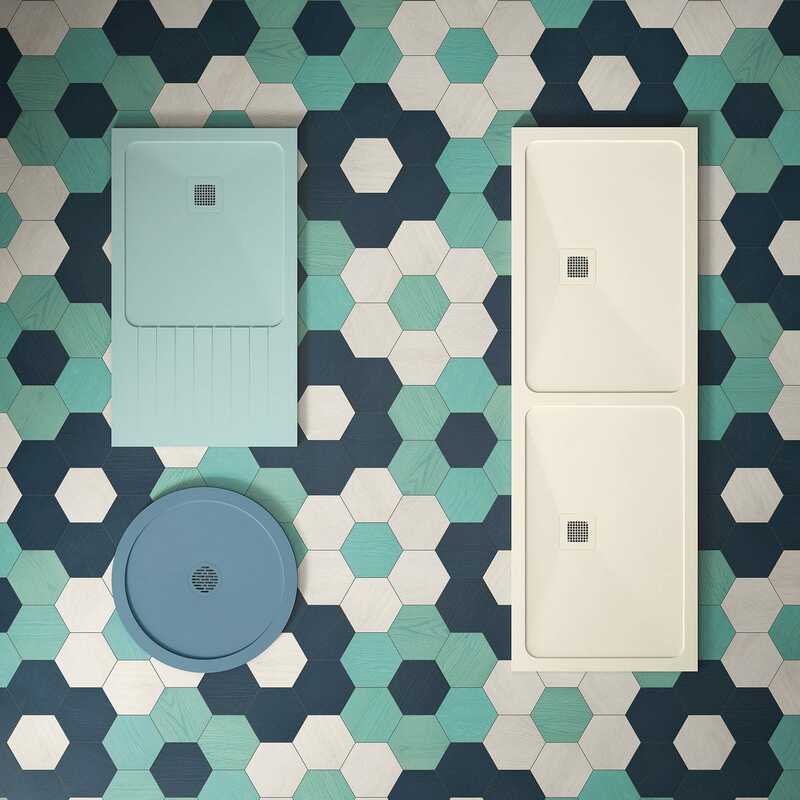 To make sure you stay informed and never miss the latest in bathroom trends, just sign up to receive our monthly newsletter Bathrooms In Focus.